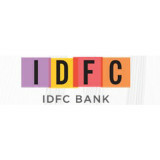 IDFC Bank Ltd. is an Indian banking company with headquarters in Mumbai that forms part of IDFC, an integrated infrastructure finance company. The bank started operations on 1st October 2015. Bank provides various offers, coupon codes and promotional offers for Food, Groceries, Apparels and other services.